traditional audio products, while delivering superior audio quality. freedom to enjoy the soundtrack to life’s moments with no limitations. video to see Kanoa earphones in action (bit.ly/1hUr2GF). will be $299. For complete details on the pre-order, visit www.getkanoa.com. while avoiding damage to the eardrums. 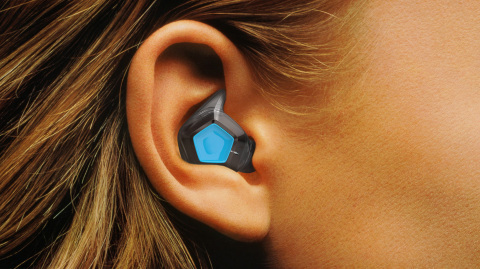 music wirelessly to your ears. has to say are long gone. lieu of a mobile device. battery life information and notifications. case, which supports up to 3 full recharges on the go. microphone in each ear allowing for exceptional voice call quality. Easily take calls with the simple press of a button. opportunity to preorder the earphones at 50% off the $299 retail price. on the KANOA pre-order campaign, visit www.getkanoa.com. limitations. For more information, visit www.getkanoa.com.